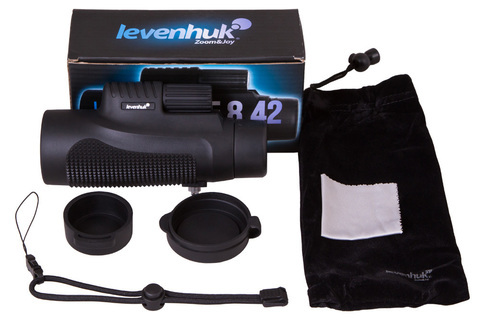 Levenhuk Wise 8x42 Monocular is a perfect combination of powerful magnification, compact size and reliable design. It’s exactly the instrument with great optical performance that will help you out in any situation. 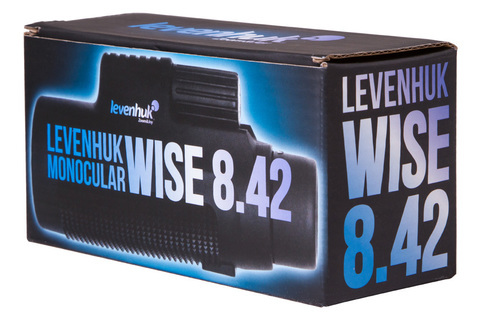 With Levenhuk Wise 8x42 you can observe nature, urban landscapes and a multitude of different remote objects. During long-term observations the monocular can be installed on any tripod with a standard 1/4'' thread. The modern roof prism made of glass and multi-coated lenses are used in this monocular to provide you with images of high definition and brightness. 8x magnification allows for all kinds of hand-held observations without worrying about image shaking. 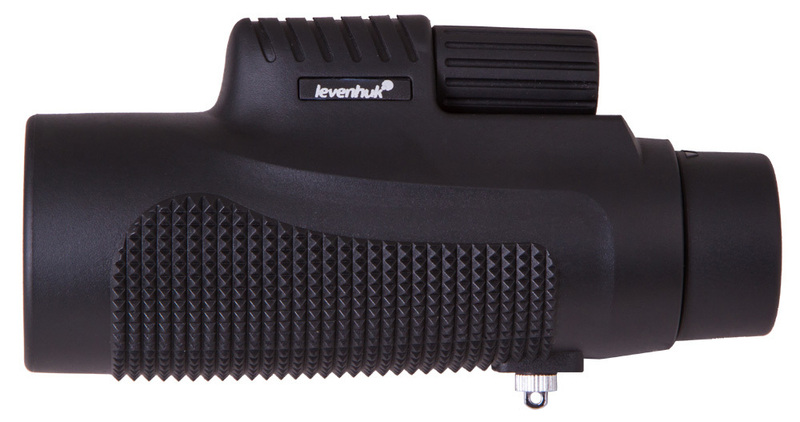 With Levenhuk Wise 8x42 Monocular you won’t experience negative effects resulting from the natural shaking of the hands. Levenhuk Wise 8x42 Monocular features special protective anti-vibration coating. All optical elements are securely protected from dust, splashes, shaking and accidental mechanical blows. The large focusing wheel is very convenient as it allows you to adjust the sharpness with just one hand. The eyecup can be easily extended in length and returned to its default position when needed. Levenhuk Wise 8x42 is a wonderful long-range monocular with an excellent color rendition. 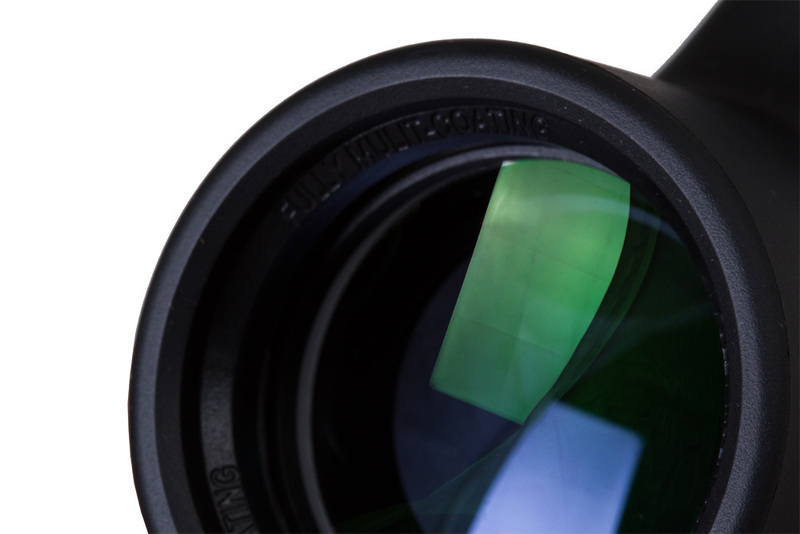 You can observe a wide field of view due to the objective lenses with a diameter of 42 mm. 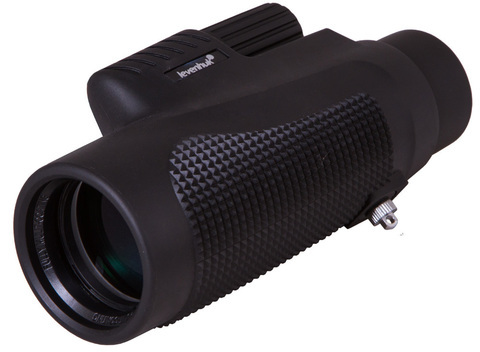 In combination with the powerful 8x magnification, the tool becomes the best monocular for long distance observations. You can watch wildlife or a live performance and enjoy observing everything in detail. Convenient and lightweight Levenhuk Wise 8x42 Monocular is supplied with an extended kit that contains everything necessary for optics care and maintenance, and a soft pouch for transportation.